It’s finally here. 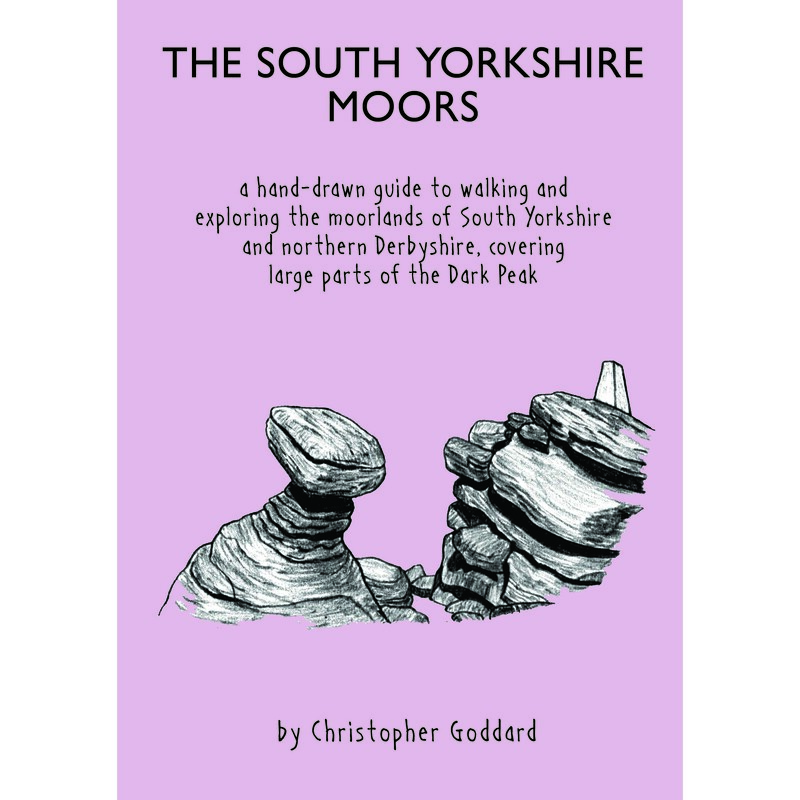 The South Yorkshire Moors is Chris’ third hand-drawn guide and first outside West Yorkshire. 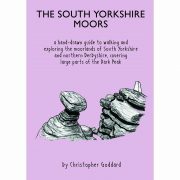 Here he returns to the landscape of his youth to explore the moors around Sheffield and northern Derbyshire, covering Stanage, Burbage, Howden, Derwent, Bleaklow, Kinder and the Eastern Moors. 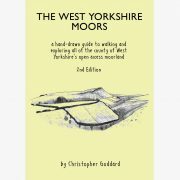 There are 35 moorland maps, 21 suggested routes, 100s of sketches and a wealth of additional information about the history, wildlife, folklore and geology of the area. Although this is a well-known and often-covered area, The South Yorkshire Moors provides a dizzying level of detail and seeks out the Dark Peak’s hidden corners and less frequented routes. 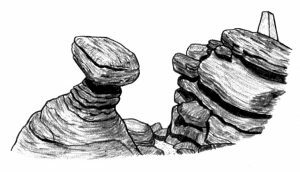 It begins in the heart of Mytholmroyd and rises up through the beautiful woodlands of Bell Hole (now Broadhead Clough) before approaching Bell House, Hartley’s remote home on the edge of Erringden Moor. 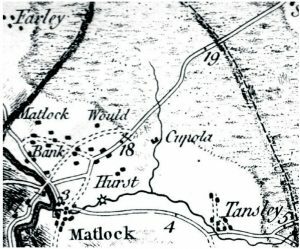 Extracts from the novel can be read in the locations where real-life events took place in the 1760s, while additional notes and sketches offer a deeper understanding of life in this unique corner of Yorkshire. 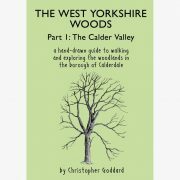 To draw attention to the generally wooded nature of the Calder Valley, the author has devised a new long distance path up its course, The Calder Woodland Way. Inspired by a train journey along the Caldervale Line, this 23½ mile route traces a lush green line between Brighouse and Walsden and takes in many of the area’s finest woods. 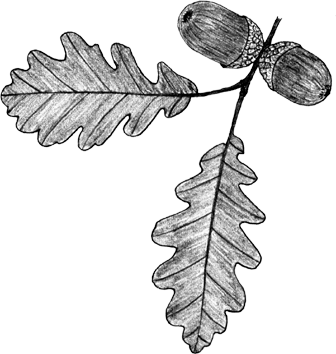 It forms a natural companion to The West Yorkshire Woods book and is available in the form of a separate foldout map. Christopher Goddard was born in Sheffield and now lives in Hebden Bridge with his partner Caroline and dog Alfie. 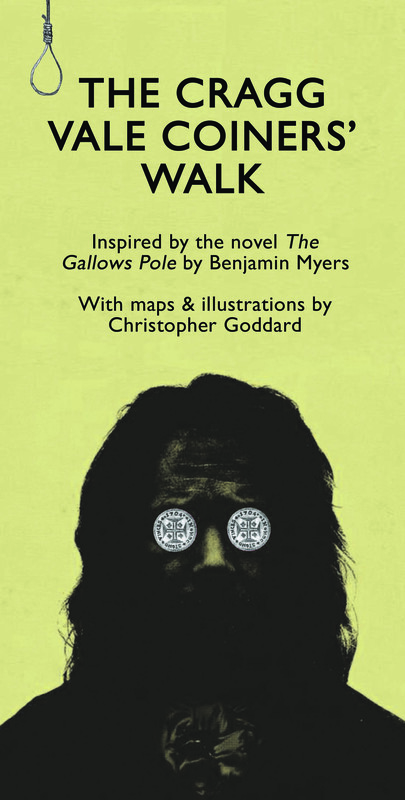 An obsessive cartographer, he has been drawing maps for as long as he has been able to hold a pencil. His work as a Rights of Way and National Trail surveyor has taken him to many of the most beautiful parts of the British Isles, including the Lake District, the Scottish Highlands and the Cambrian Mountains. 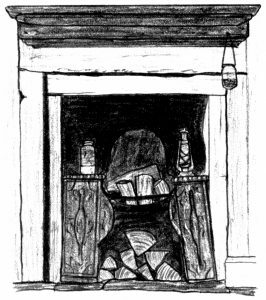 He began writing walking books in 2006, and to date has published three books; The West Yorkshire Moors (2013); The Wales Coast Path (2014); and The West Yorkshire Woods: Part 1 (2016). Read more.